Macedonia boasts of a great and rich past dating back to 3000 BC and is associated with names like Alexander the Great. After ruling the world for many years, it became a territory of Greece, and then in the year 1991 ultimately became the Republic of Macedonia. As of July 2007, Macedonia has just over two million inhabitants. Ethnic groups consist of Macedonians being the majority groups, Turkish, Serbians, Italians and other minor groups. The dominant religion in the country is Orthodox Christianity followed by Islam and other minor Christian groups. The Republic is showing a steady growth though there are minor political issues still threatening the country. Located in the southern portion of Europe, The Republic of Macedonia is a very beautiful country. When visiting this country bear in mind the beautiful churches, monasteries, and amazing mosques, all of which are worth visiting. Macedonia is rich in natural resources. The terrain of this country is composed of several upland areas and water bodies. There are 16 mountains in the country, two of which are the Dinaric and Rhodope ranges. There are also centuries-old lakes and streams interspersed all within the country. Some of these water bodies are Vandar River, Lake Prespa, Lake Ohrid and Dojran Lake. 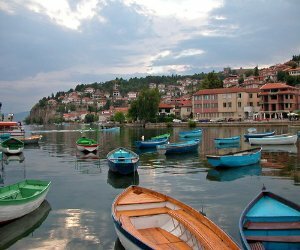 Lake Ohrid, Europe's oldest lake, is a biotope of great ecological importance. Some beautiful spots for tourists and travelers to visit while in Macedonia are Lake Ohrid, Lake Matka, the Sveti Jovan Bigorski Monastery, the Treskavec Monastery and Skopje. While in Macedonia, you will discover unique finds such as ceramic pots, some handicraft works made by the local people and many more interesting things. Geographically divided by the central valley of the Vardar River and mountain ranges, Macedonia is a landlocked country. Its geography is characterized by gargantuan mountains that give way to flat valleys and plains, including water bodies. It is mostly mountainous with high mountain ranges that are suitable for winter sports activities. In fact, about 35% of the ski slopes of Yugoslavia are located in Macedonia. Lakes Prespa, Orhid and Dorjan are three volcanic lakes in the country. 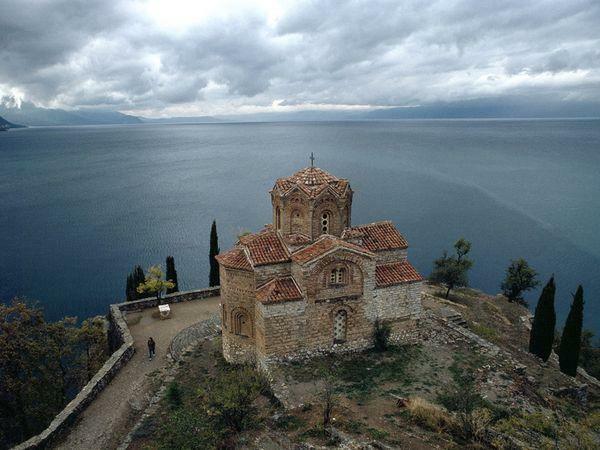 Lake Ohrid is the biggest and most beautiful tectonic lake. The country also has glacier lakes, natural and artificial lakes, which are quite popular with tourists. It has a rich reserve of natural resources. The capital city of Skopje is also the largest city with a population of just under half a million. Other major cities include Bitola, Kumanovo, Prilep and Tetovo. The Macedonian kingdom was founded between 7000 and 3500 BC. Its history dates back to a very ancient yet glorious and colorful period. 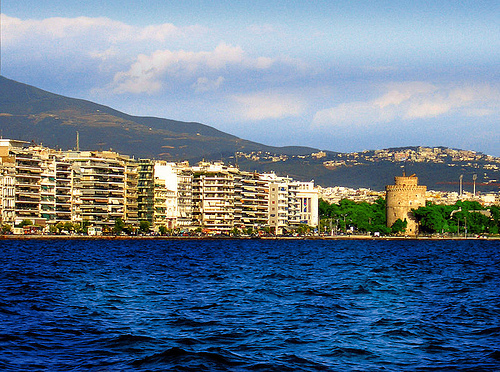 It all began with Hellenic immigrants who founded the ancient city. The Argive tribes ruled ancient Macedonia. The race came under Persian dominance during 492 BC. It overcame threats under Persians, Athenians and Thracians. The race ultimately became an invincible army power. Philip II, then ruler of Macedonia, repressed all its rival powers and started creating the empire. Alexander the Great ascended to the throne. Macedonia conquered Babylon, Persia, Susa, Persepolis, Asia Minor, and many others. Thereafter, it was ruled by the Romans in AD 395 and remained a territory until its capture by the Ottoman Turks in 1389. It was later divided between Bulgaria, Serbia, and Greece. After much struggle, the Republic of Macedonia was formed on September 8, 1991. Visitors and travelers alike will enjoy the sights and interesting places it offers. 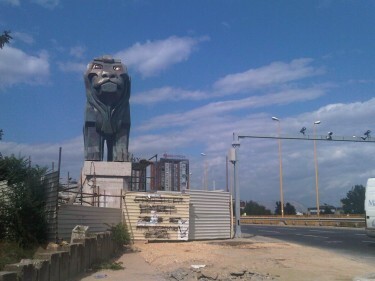 Tourist spots in Macedonia offer fascinating and natural sights. There are a number of churches and monasteries in the country. You can visit the monasteries of St. Panteleimon, St. Jovan Bigorski, St. Naum and the Markov monastery. The Orthodox Church, St. George's Church and St. John Caneo Church attract a number of visitors, too. Macedonia is also known for museums. The country has some beautiful lakes. These are a pleasure to visit during the summer months. 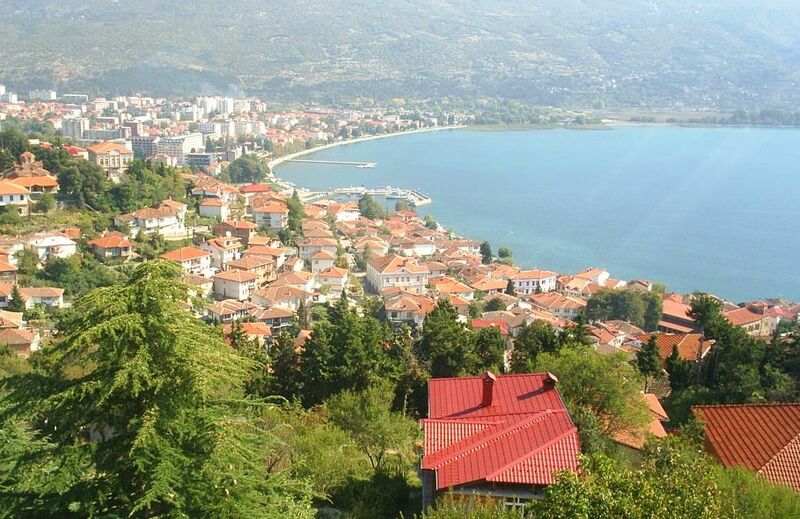 Lake Ohrid is one of the most beautiful tourist spots in the country. The lake regions of Dojran, Prespa, Mavrovo and Popova Sapka are also wonderful places to visit. 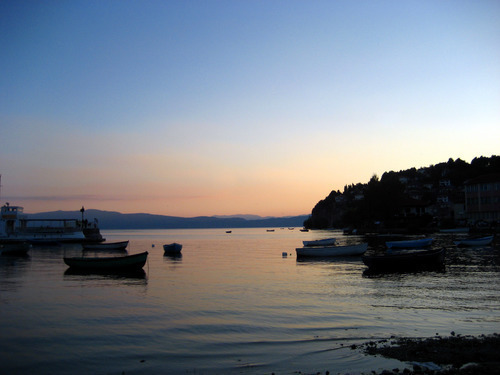 There are small villages like Vevcni and Struga. There are also wonderful mountains and several springs that can be visited while on short trips. Other tourist attractions are fortresses of Marko, Skopje and Samuel. Tourists can also visit beautiful botanical gardens and the national parks. Casinos and nightclubs are two popular sources of entertainments. Macedonians like to spend their evenings at these places. Cinema halls and restaurants are other popular places of entertainment while in the country. The numerous casinos and nightclubs are perfect places of entertainment for people to come out, enjoy, and rejuvenate after a very busy day at work. These places offer exuberance while loud music is played along with dance numbers from foreign entertainers. Casinos and nightclubs also house bars where assorted fine liqueurs are served along with savory and mouth-watering food. Macedonian culture is derived from the Southern Slavic people and from the Greeks. It begins with language and church literature from times before the Middle Ages. Macedonian was written in Roman letters as well as using the Cyrillic code. The latter, introduced in the 9th century, has undergone significant development. Religion is an indispensable part of its culture. There are about 40 faiths in the country, the most important of which are the Christian Orthodox faith, the Roman Catholic faith, and Protestant Christianity. There are few incidences of faith and religion-based violence. Vital parts of the culture include folklore music, dance, literature, theater and film. Festivals and fairs are held every year, many of which have gained International importance. The cuisine of Macedonia has unique taste and style. It derives its origin from the Greeks, Turkish and Italian. The cuisine also is noted for its use of wide variety of fruits and nuts. Burek and beef kebabs are of Turkish influence. A yellow colored cheese called Kashkaval originates in Italy. Macedonian cuisine uses meat like lamb, pork, chicken and beef. Fish, especially trout, is also an all time favorite by all Macedonians. Preparation of any dish does not require any special technique of cooking, although every dish has its own characteristics. Some methods of cooking are boiling, steaming, baking and stewing while other methods used are salting, simmering and the application of seasonings using different spices. Pepper is commonly used in many of the Macedonian cuisines. Popular dishes of Macedonia are beef rib roast, bread, cheesy chicken wings, chicken paprika, filled peppers, egg bread and caraway pork with cabbage.